I’ve just spent all of August and most of September editing chapters for a volume of New Directions in Evaluation (NDE) on Accreditation, Certification, and Credentialing. 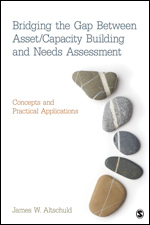 These topics all relate to competencies which all relate to building capacity. Now I can site a lot of references for competencies. (For example, Stevahn, King, Ghere, Minnema, 2005, AJE 26(1), pp. 43-59., among others see the work by King and cadre–that one cited just happens to be on my desk right now.) This group has been working on competencies for the last 15 or so years. This is important work–as well as problematic (hence the issue of NDE). I won’t go into details here because the NDE volume pretty much addresses these issues from a variety of perspectives. We (my co-editor, Jim Altschuld and I) have assembled (what I think is) a stellar collection of writers who have good ideas. Editing an issue of NDE (again) was a valuable experience for me: I learned again why I don’t write the definitive text on anything; I learned again how important Accreditation, Certification, and Credentialing are; I am reminded how complicated it is to assemble a list of competencies that adequately capture what is an evaluator; and I am once again humbled, recognizing that cynicism does not come with the territory–it is acquired. This summer I spent a lot of time dealing with needs assessments and talking about needs and assets. It occurred to me that the difference between need and wants has a lot to do with evaluation (among other things). So what are needs? What are wants? How does all this relate to evaluation? 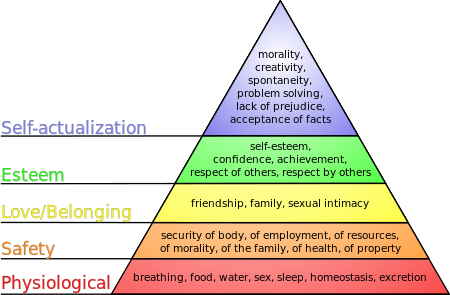 Maslow spoke eloquently about needs in his hierarchy, and although the hierarchy is often presented as a pyramid, Maslow didn’t present the needs this way. He did present this hierarchy as a set of building blocks with basic needs (physiological) as the foundation, followed by safety, loving/belonging, esteem, and self-actualization. 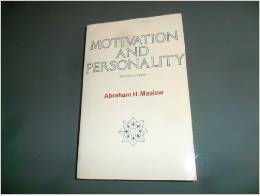 He talks about this theory of motivation in his book, Motivation and Personality (a 3rd edition is available as well). This view of the individual ushered in the humanistic view of psychology (often called the third theory after behaviorism and psychoanalysis). He believed that human could not live without these needs and advocated that they are necessary for survival. A “want” is often considered a desire based purely in economic, social, or psychological reality of human existence. It is something that an individual would like to have. (Chocolate, any one?) A want is not essential to human existence; it is only something an individual would like to have. Unfortunately, there are limited resources (as well as a large body of literature) talking about having enough . If you have enough, then wants are few and resources are available for everyone. I just finished a chapter on needs assessment in the public sector–you know that part of the work environment that provides a service to the community and receives part of its funding from the county/state/federal governments. Most of you know I’ve been an academic for at least 31 years, maybe more (depending on when you start the clock). In that time I’ve worked as an internal evaluator, a program planner, and a classroom teacher. Most of what I’ve done has an evaluative component to it. (I actually earned my doctorate in program evaluation when most people in evaluation came from other disciplines.) During that time I’ve worked on many programs/projects in a variety of situations (individual classroom, community, state, and country). I find it really puzzling that evaluators will take on evaluation without having a firm foundation on which to base those evaluations. (I know I have done this; I can offer all manner of excuses, only not here).